magnifique: Winter is an etching, spring a watercolor, summer an oil painting and autumn a mosaic of them all. 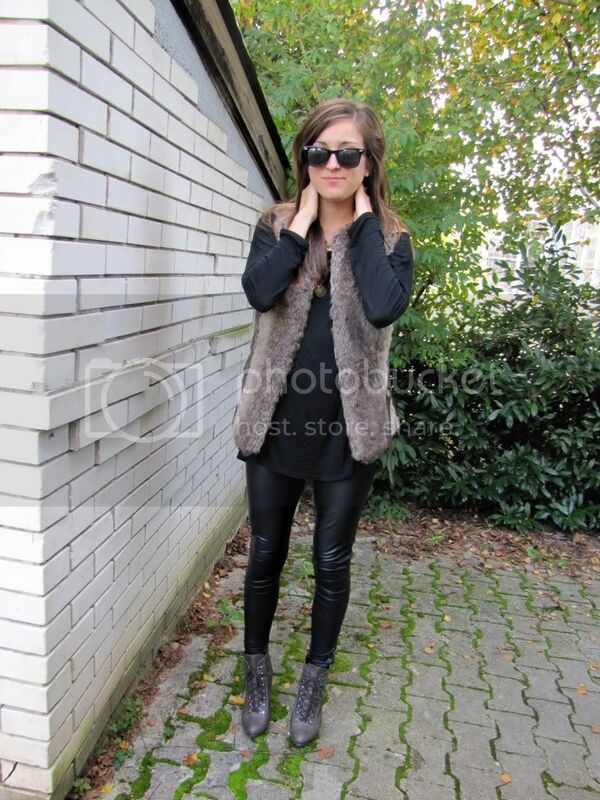 Wearing Bershka vest, leggings and shoes, NewYorker top, vintage sunglasses. wow. i love this. super cute but hard to pull off and you did it so well! you look gorgeous! I have to agree, I feel the same way each time I come home from a trip. Btw, I love that vest! 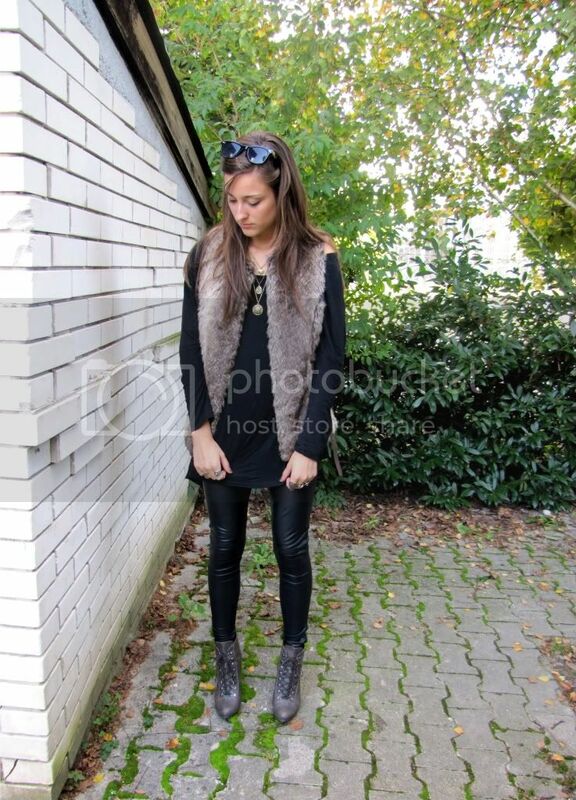 The leather leggings with the fur vest look amazing. 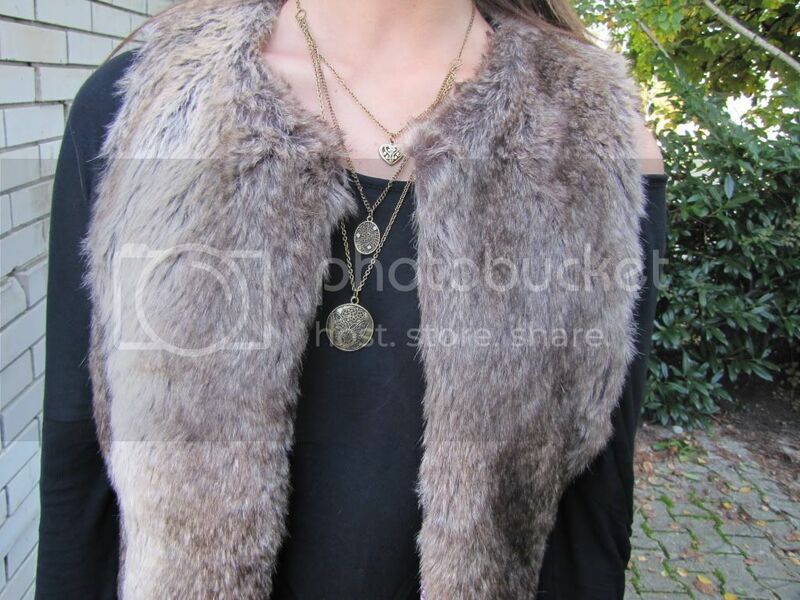 love the fur vest and leather leggings...fierce mix!